Welcome to the JVNP 2.0 Weekend Update featuring a primary JV request courtesy of fellow JVNP 2.0 Partners Anthony Mastellone & (JV Manager) Firas Alameh (Social Ecom Classroom influencer marketing ecom course launch affiliate program JV invite), Buzz Builders (Jason Mangrum (Uberman 2nd Edition + The Self Improvement Money System, Nick Ortner – 10th Annual Tapping World Summit launches), and More … in Today’s leveraging the power of Social Media to achieve eCom success edition. Have a Simply ‘Super’ Weekend! 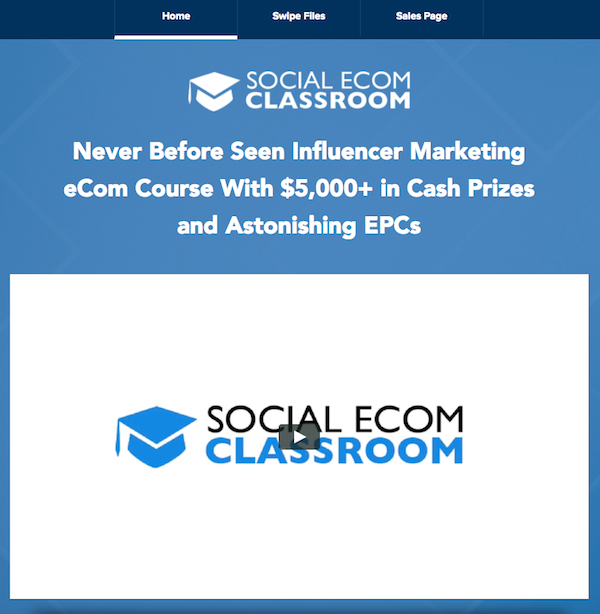 Fellow JVNP 2.0 Partner, we’d like to request your support promoting our never before seen Influencer Marketing eCom course (so you can grab YOUR share of Astonishing EPCs and $5K+ in launch-time Cash Prizes) … Social Ecom Classroom! Considered to be the world’s best step-by-step training to become immensely profitable with eCommerce by utilizing the untapped power of Instagram & Facebook. What Will Your Customers Receive? – 6 content packed modules of result based eCommerce teaching that they will be submerged in for weeks. 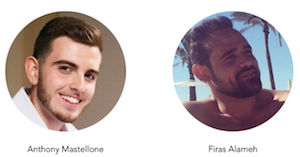 – Case studies from successful students that have actually earned money from this training. – Access to “done for you” research, templates, and walk-throughs that practically set them up for Success. – Aside from you making THOUSANDS in commissions we are sure this will convert like crazy. Rest assured, the conversions will be nothing short of spectacular. – All your traffic is going to be LINKED to your affiliate link for LIFE! That’s right, with JVZoo your affiliate cookie will remain active on your prospect’s computer for as long as the product is available … allowing you to generate sales all throughout the launch. Yes … even when we raise the price! – You will be able to claim some amazing prizes and provide some truly valuable content to your subscribers. Its amazing that your customers will be getting all of this, but its more important that you know this product is 100% unique, and your subscribers will THANK YOU like never before! Here are the Important Launch Phases so that you can set up your promos to go out at just the right times and take full advantage. February 23rd: Cart Opens @ 9AM EST – FE $47 (early bird $20 savings). February 25th: Last day at $47 FE before price increase at Midnight. February 26th: FE Price changes from $47 to $67. February 28th: 11:59PM EST – Cart Closes. Now Lets Get To The Fun Stuff … Over $5,000 in JV Launch Time Prizes! Just ONE sale is all it takes to be qualified for a cash prize which can earn you up to an additional$2,500 and that doesn’t even include our overall prize pool! Thanks, in advance … we’re looking forward to working with You! A Massive Earner at OVER $322 per Attendee (That’s to JV Lists … NOT Our Own)! In this friendly, unpretentious, information packed webinar we teach a simple 3 step system to rank at the top of Google – websites, videos, Amazon pages … while showing copious and exciting amounts of live proof of our rankings, and social proof from countless testimonials. John Pearce + Chris Cantell – Turn Key SEO High Ticket Evergreen Webinar Based Promotion Affiliate Program JV Request. It’s Jason’s 37th Birthday … & You’re Invited to the JV Commission Party! Help Us Spread the Word about UBERMAN 2nd Edition and The Self Improvement Money System before February 3rd @ 9AM EST and We’ll Pay You an Instant $10-$48.50 Every Time Someone You Refer gets the Book or the System! (Plus You can make up to $5,000 Commissions from our Million Dollar Back-End…) Jason Mangrum – Uberman 2nd Edition + The Self Improvement Money System JV page. Josh Koya, Travis Stephenson and other fellow JVNotifyPro 2.0 partners are waiting in the wings … keep your eyes on your Inbox, and follow the action in the JVNP 2.0 Premium VIP JV Announcement archives.